Here's to the Winners! 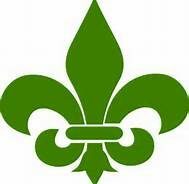 - Swampswami.com - Sports Commentary and more! This weekend found the sports world with a myriad of “feel good” stories. Though your intrepid SwampSwami normally saves some stories for his end-of-week “Sweep-the-SwampCast” podcast, it’s time to break-out some good ol’ hot chocolate this Monday morning to salute some terrific sports stories from this weekend. College basketball had three very compelling games played over the weekend. On Saturday, the men’s semi-final #1 in the NCAA Final Four’s early game featured a nail-biter between the Auburn Tigers and the Virginia Cavaliers. After Virginia led most of the game, Auburn’s outside shooters found their stroke in the massive domed stadium in Minneapolis and took the lead over Virginia with a minute to go. The Cavaliers, who lost to the #16 seeded team UMBC in the first round last year, were looking like they were heading home again late Saturday afternoon. Then, “That Guy!” saved the day. As in UVa‘s Kyle Guy. As a result, Virginia is playing for the school’s first national championship in tonight’s finale with Texas Tech. The junior guard for the Cavaliers literally saved his team from going home on Saturday with a clutch three-point shot from the corner with less than ten seconds left. Then, with the game on the line, Kyle Guy drained three straight free throws with less than one second remaining to help Virginia edge Auburn 63-62 in a classic Final Four thriller. Here’s what you didn’t know about “That Guy!” Kyle Guy, the young man with ice water running through his veins on Saturday, has been very public about suffering from anxiety and panic attacks while attending the University of Virginia. Guy moderated a panel on mental health for UVa athletes earlier this year and accepted an invitation to participate in a similar panel at this year’s Final Four in Minneapolis. Weekend Good Story #2 – The Texas Tech Red Raiders shocked everyone except themselves in defeating #2 seed, Michigan State, by a score of 61-51 in the nightcap game on Saturday. Texas Tech’s coach, Chris Beard, was an assistant for a man named Bobby Knight when the legendary coach came to Lubbock. Beard honed his coaching skills under Coach Knight and hit the road in search of head coaching success. Beard coached a semi-professional basketball team in Myrtle Beach, South Carolina. He also coached a few small college teams at McMurry University, Angelo State, and then at the University of Arkansas – Little Rock. While spending just one season at UALR, Beard’s Trojans went 30-5 to get into the NCAA tournament, beat #5 seed Purdue, and, all of a sudden, Beard himself became one of the nation’s hottest coaching prospects. He landed at Texas Tech in 2016 and the Red Raiders are playing Virginia tonight with a chance to win their first national championship in men’s basketball. Weekend Good Story #3 – In the NCAA Women’s national championship game on Sunday afternoon, the Baylor Lady Bears prevailed (pardon the pun, “Bearly”) by one point over Notre Dame to win their third national championship under Coach Kim Mulkey. Though Baylor led most of the way, Notre Dame refused to go away and hit shot after shot to whittle a 17-point second half deficit and take the lead coming down the stretch. Baylor lost one of its key players to an injury in the second half as Notre Dame closed the gap. 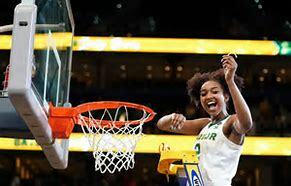 Then, Baylor’s Chloe Jackson, a transfer player from LSU, had the game of her life and scored a driving lay-up with 3.9 seconds left to give “da Bears” the national championship trophy to take back to Waco. She scored a season high 26 points when her team needed her the most. Weekend Good Story #4 – On Saturday, the inaugural Augusta National Women’s Amateur golf tournament was held. In resurrecting golfing memories of a charging Arnold Palmer back in the 1960’s, Jennifer Kupcho drilled a clutch fairway wood onto the green on the par-5 13th hole to claim an eagle 3 and pull away from challenger Maria Fassi and win the trophy. Kupcho and Palmer have something in common. She attends Wake Forest University, where Arnold Palmer played collegiate golf and has a statue on campus. Kupcho also drained a final birdie putt on the 18th green to seal the win – just like Arnie did back in 1960! Great job, Jennifer! Weekend Feel-Good Story #5 – Then there’s the story of PGA golfer, Corey Conners. Last week, he wasn’t invited to be in the starting field for the Valero-Texas Open in San Antonio. Conners is 27 years of age and had yet to win on the PGA tour. So, like many others, Corey Conners teed-it up with the other PGA Monday qualifiers hoping to grab a spot in Thursday’s starting field. He finished in a tie with six other golfers for the final place in the field and then had to win the six-man playoff to claim the final place in the PGA event. Conners’ great golf continued during the first three rounds last week, and he found himself in the final group for Sunday’s fourth round. After taking the outright lead on Sunday with four birdies on the first five holes, Corey Conners’ chances took a serious dive when he bogeyed holes #6, 7, 8, and 9 to fall back out of the lead with nine holes to play. Ouch! Instead of giving-up, Conners made the turn, corrected course, made three consecutive birdies to start the final nine holes, and won his first PGA tournament by two strokes on Sunday. The last PGA player to qualify on Monday and win a PGA Tour event the same week was Arjun Atwal in 2010 at the Wyndham Championship. Conners is just the fifth player in PGA tour history to accomplish such a rare feat. Plus, he and his wife can now celebrate the victory with a visit to Augusta National in Georgia this week. In addition to winning over $1.3 million on Sunday, Corey Conners also earned a trip to play in The Masters’ elite field this Thursday! The moral of these stories? If you’re having a tough day on Monday, just remember to keep your head-up and keep on keeping-on! Your chance for personal victory could be coming very soon!